Moving the steam donkey to a new setting at Lull Bay in Knight Inlet. 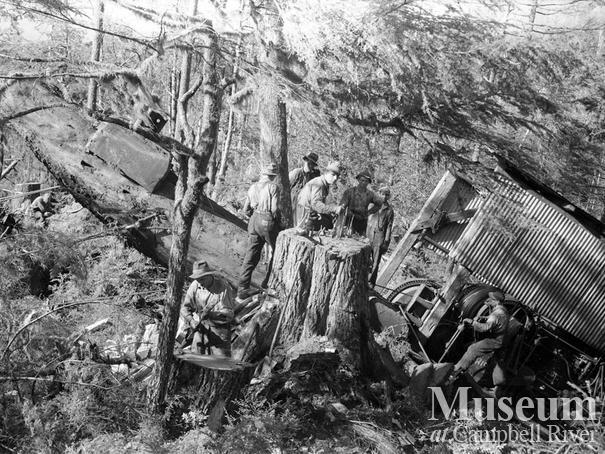 Dot Logging Co. was owned by Clarence and Doug Boardman. This steam donkey (a 10 X12) was restored by the Museum at Campbell River and is now on display out front. 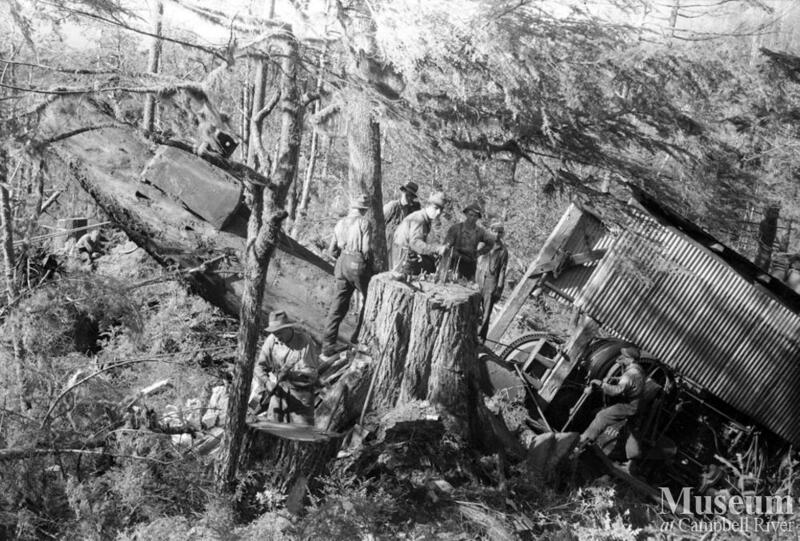 steam donkey, donkey engine, sled, lull bay, knight inlet, dot logging co.